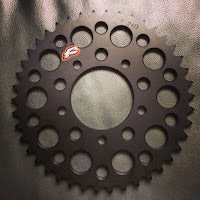 I ordered a custom sprocket in black. 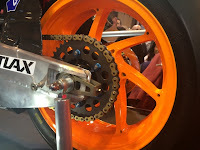 This should compliment the Swingarm. This is similar to RCV213V and looks great. I know it's only cosmetic but it's nearly Christmas! A new milestone! 200,000 page views!